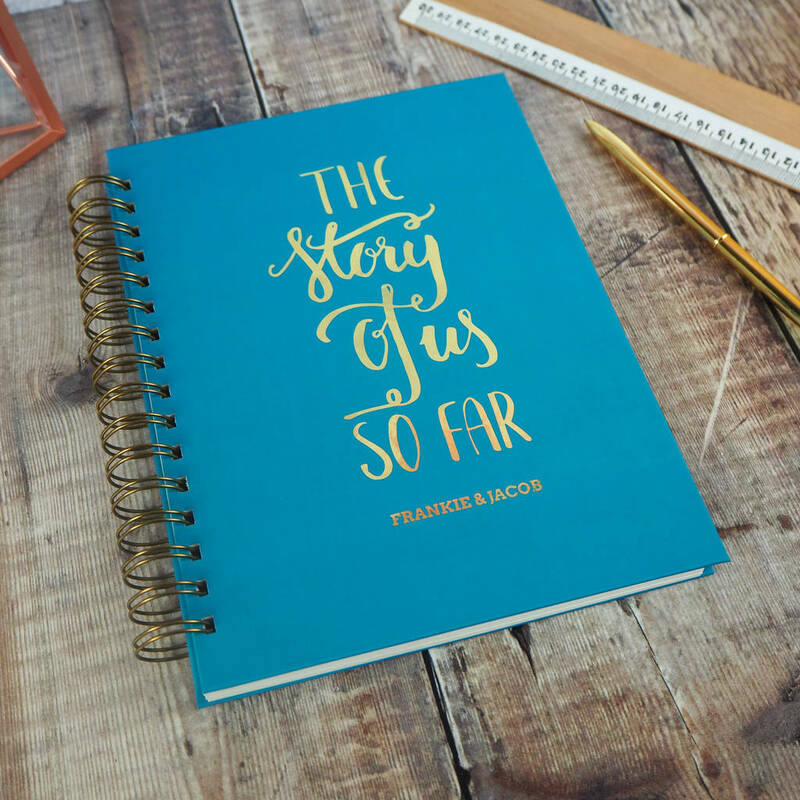 A handmade 'The Story of Us So Far" memory book personalised with the names of your choice. 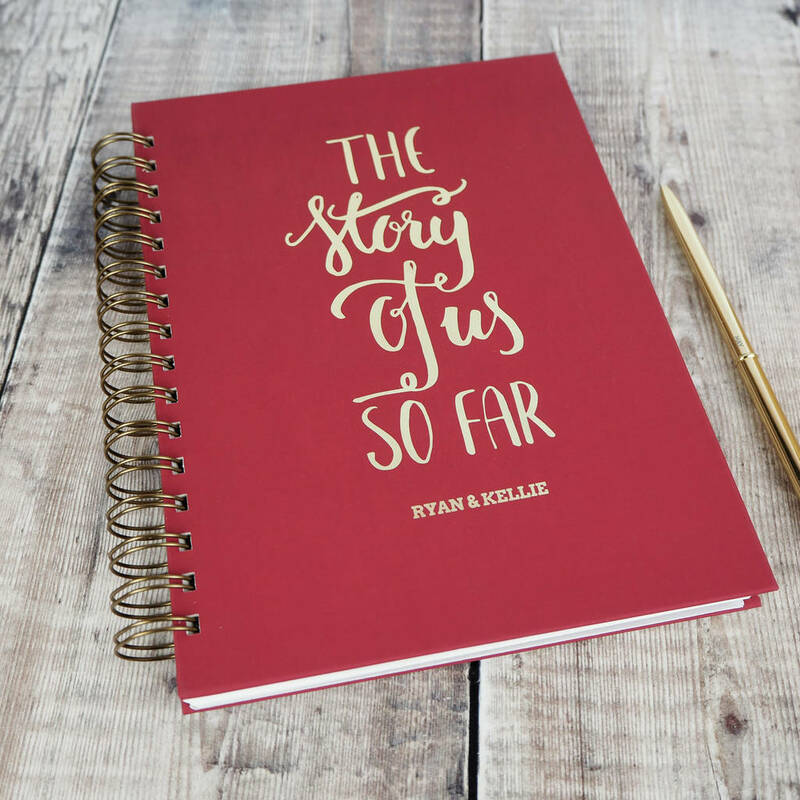 Fill the book with photos, notes, tickets, letters, cards - anything that tells your story. 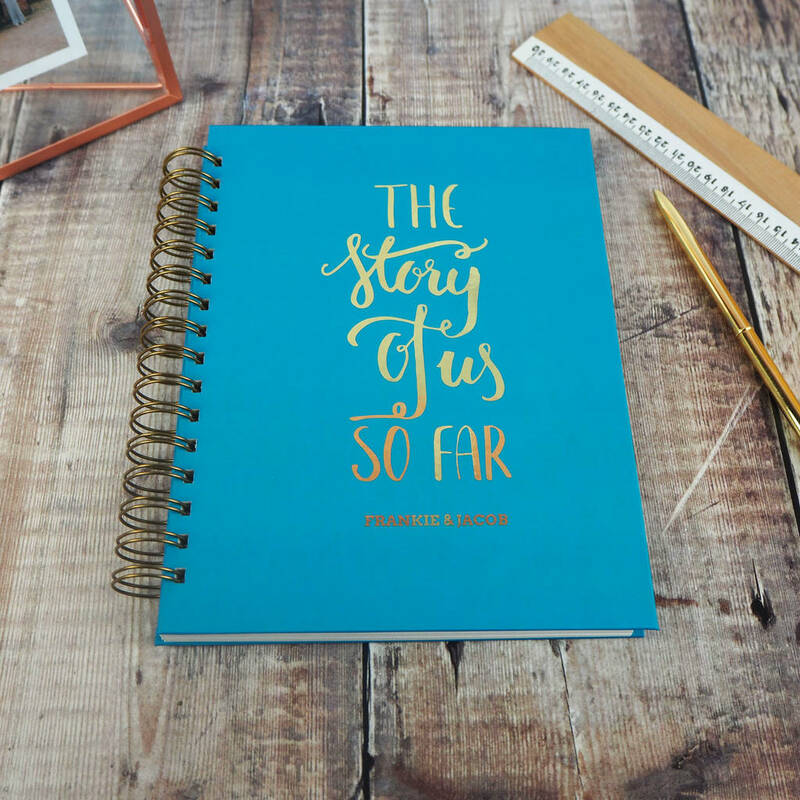 A sweet gift for your partner who will love to see your story scrapbooked - and it is an enjoyable thing to create too! Present to you partner ready filled with your story so far, or perhaps if you are at the start of your journey fill one page and leave the rest empty to represent adventures to come. 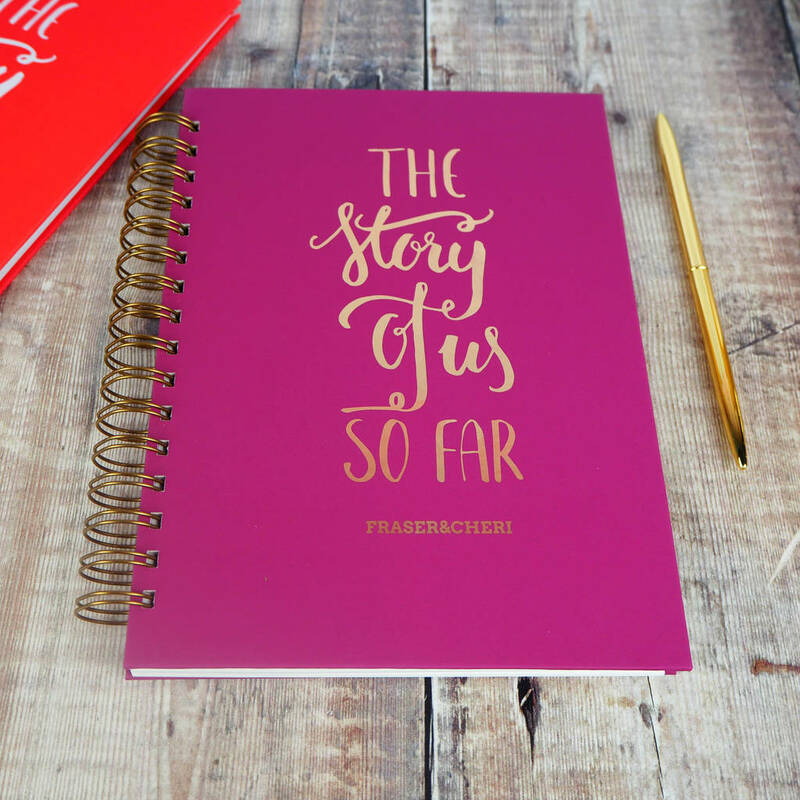 Fill the book with photos, notes, tickets, letters, and cards - anything that tells your story. 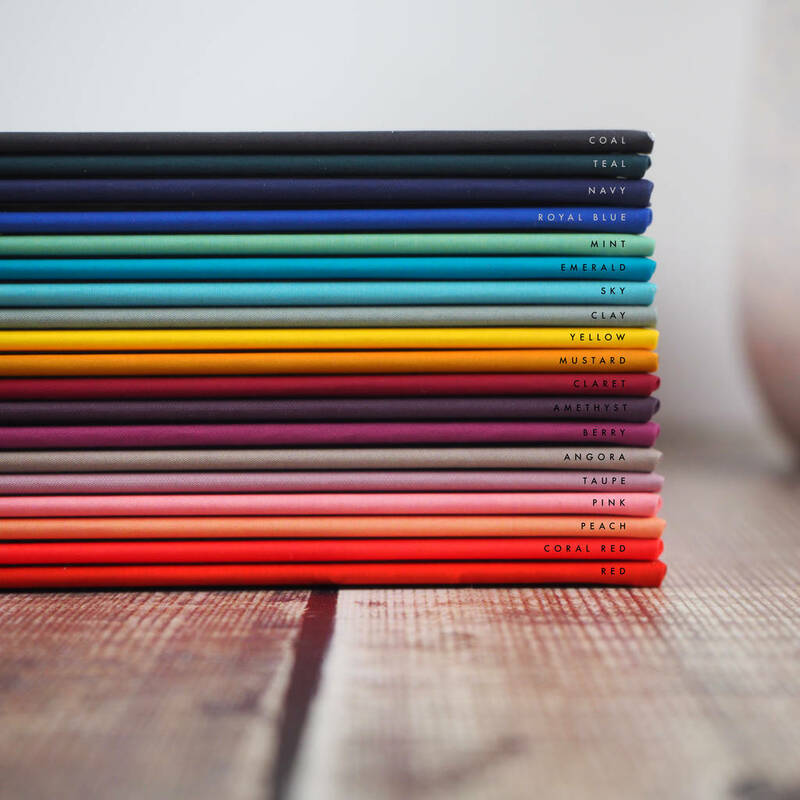 Have the book filled solely with plain pages - perfect for drawing, writing or sticking photos onto. 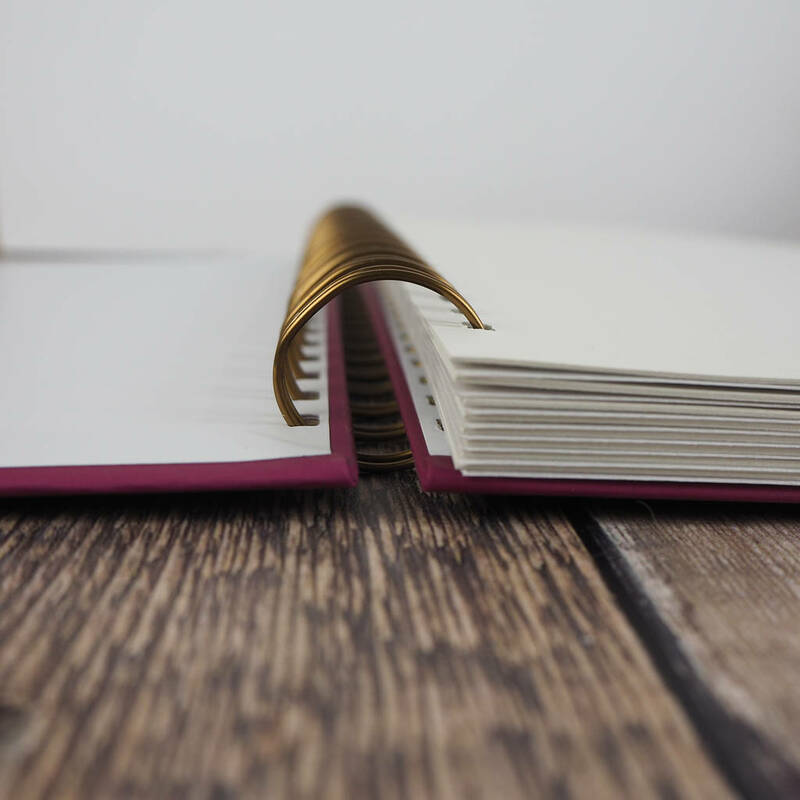 You can also upgrade the pages to card (245gsm). 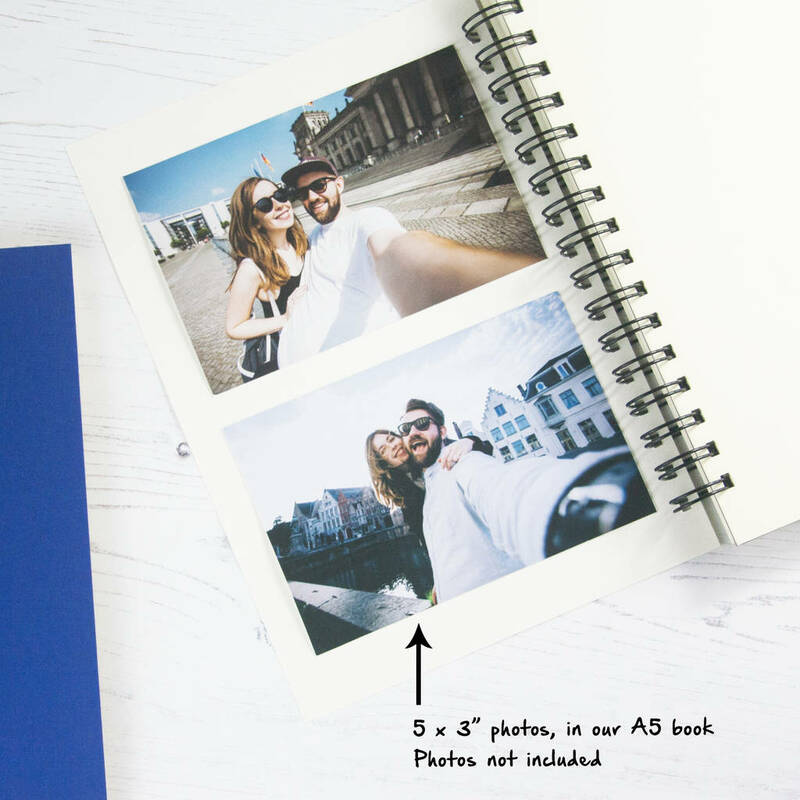 You can also add in our translucent keepsake envelopes, which are fantastic for collecting and displaying mementos, such as photos, letters and tickets. 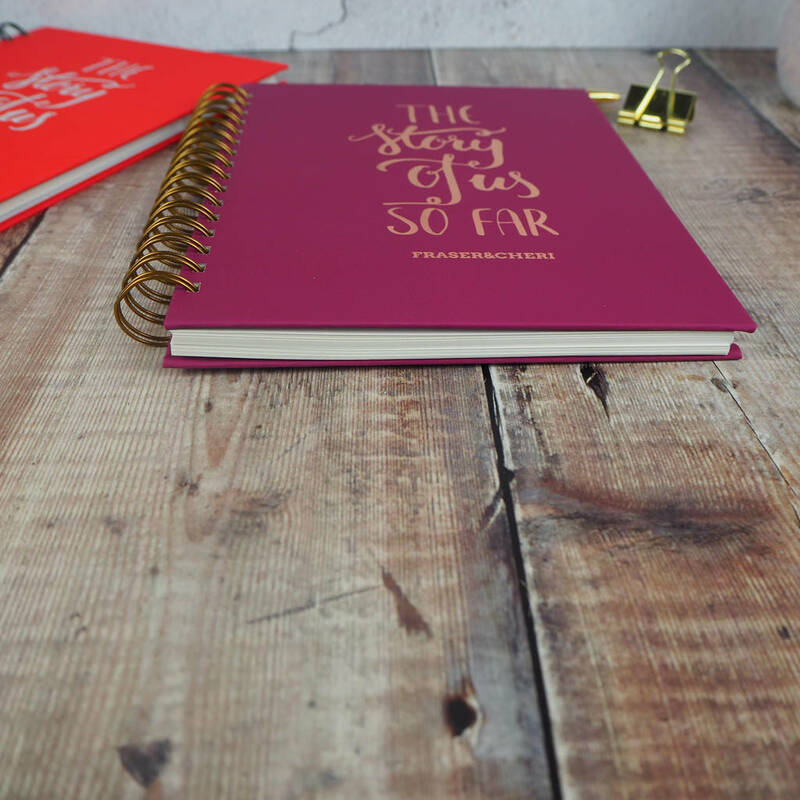 These will be evenly alternated with pages, throughout the book.